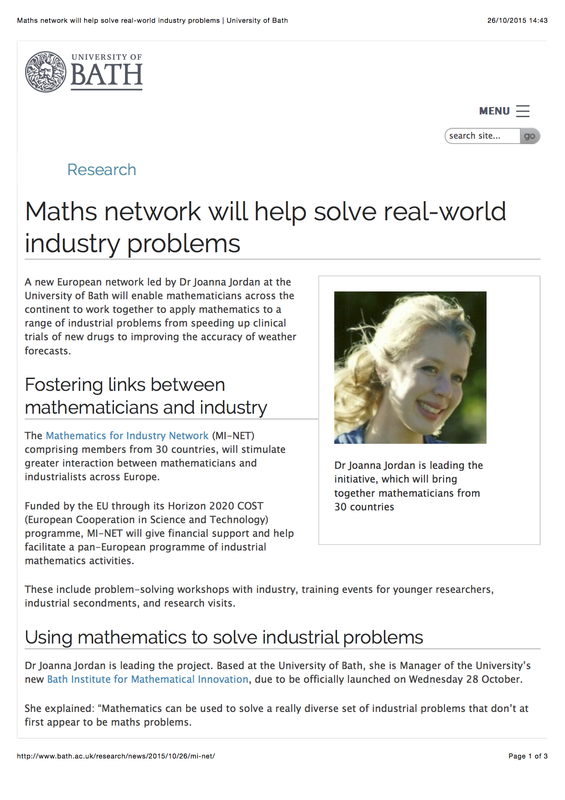 We were delighted to see that the University of Bath has written a nice piece about MI-NET and has got it up on their web page! We are looking forward to tomorrow when we will kick off the day with a Core Group and a Management Committee meeting. In the afternoon we will be welcoming 50 delegates to our workshop on ‘Current Practice in Industrial Mathematics‘.